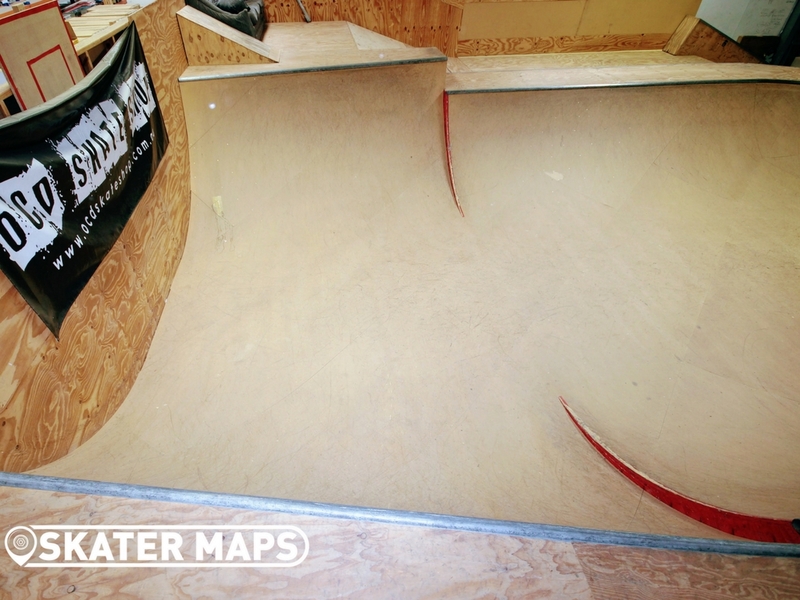 OCD Skate Shop is the most stocked skate shop in the country. 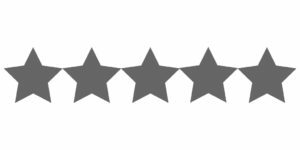 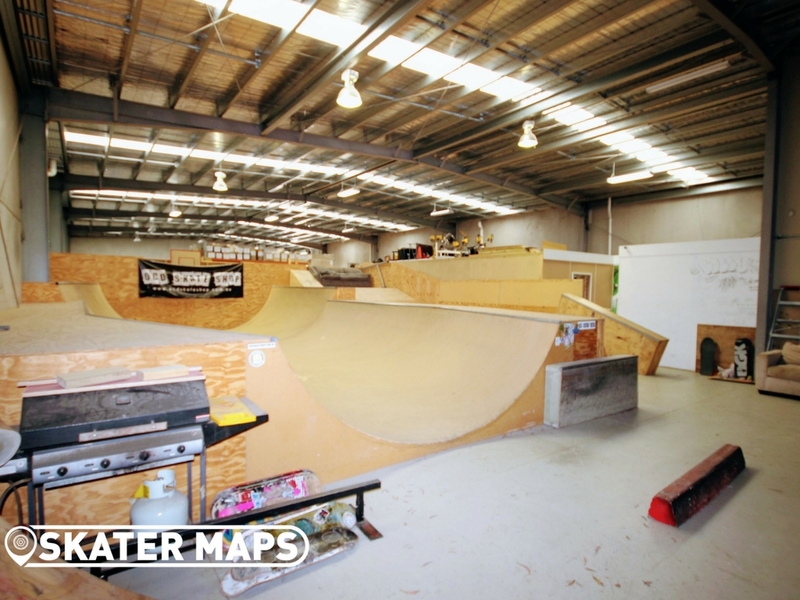 You can either drop into their shop in Mordialloc and browse through countless skateboarding products, or ollie online to browse their catalog and get anything posted within a day. 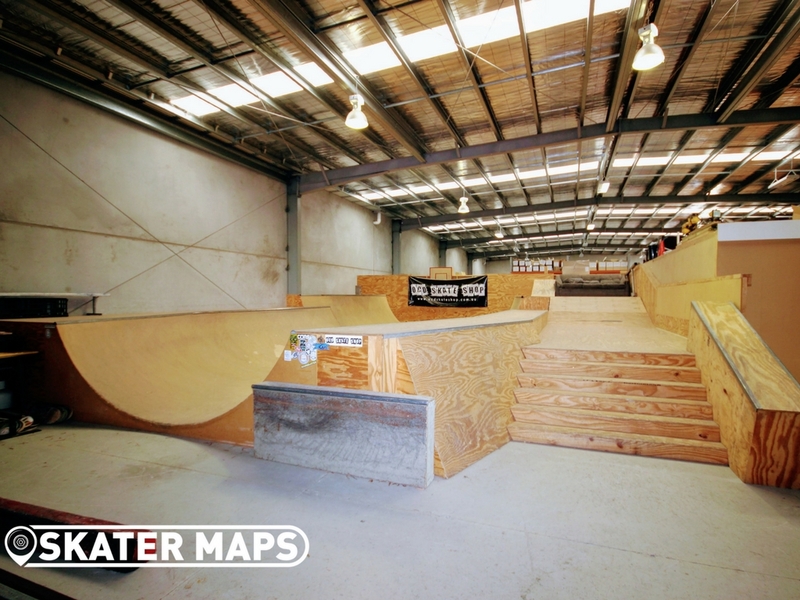 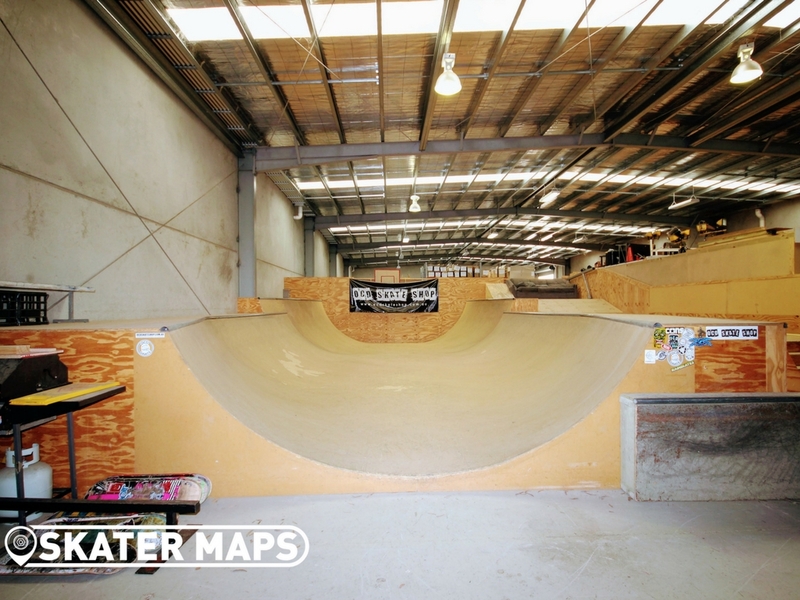 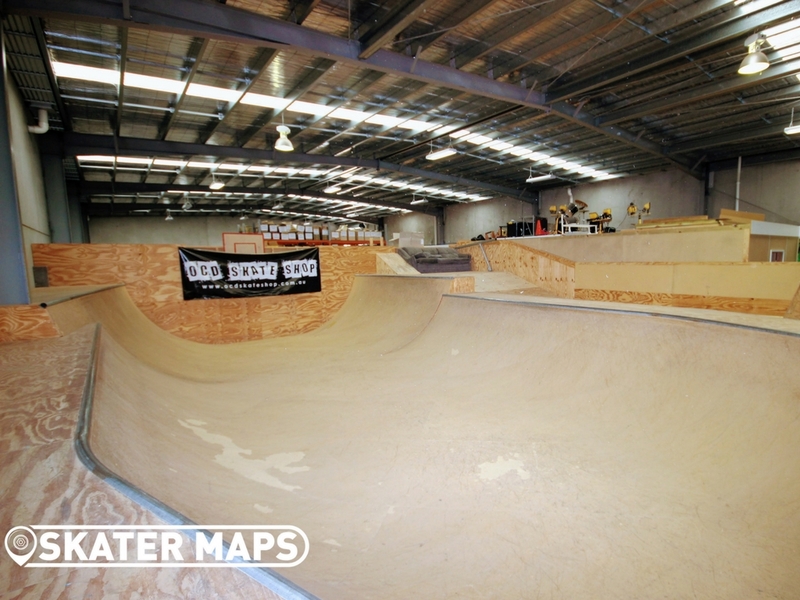 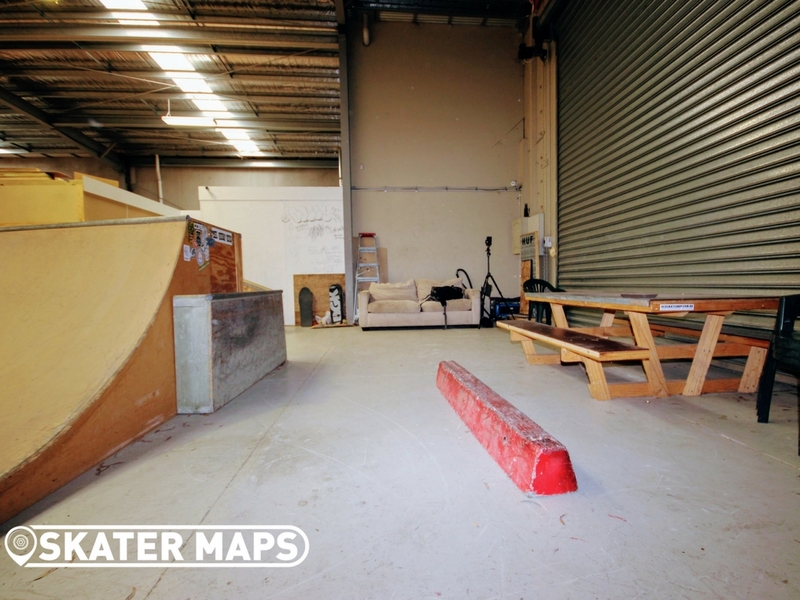 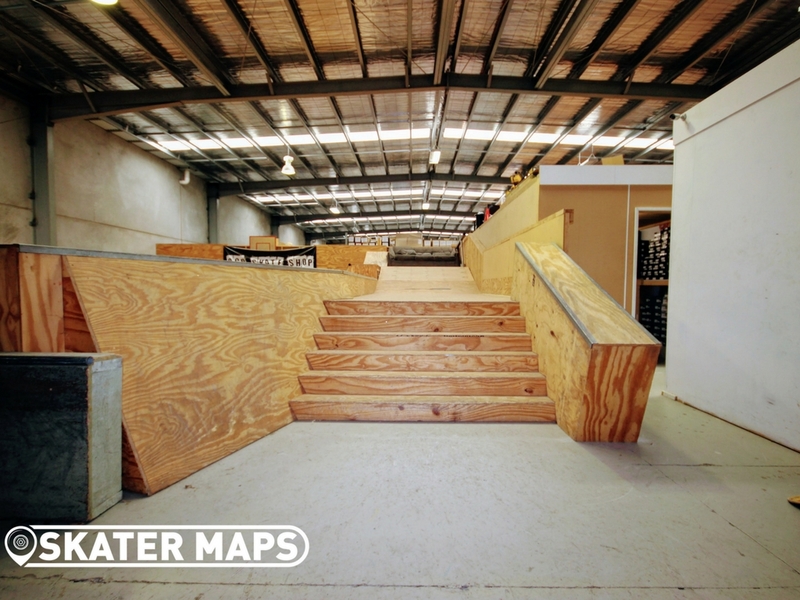 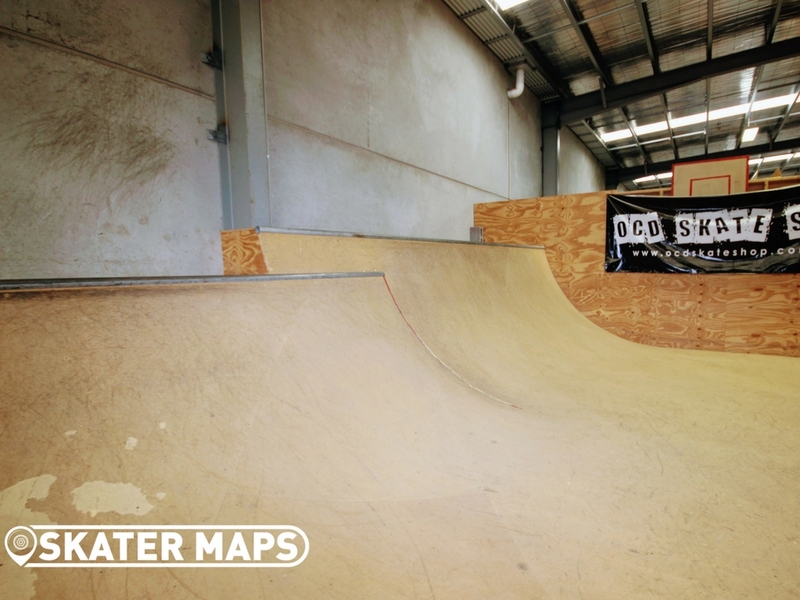 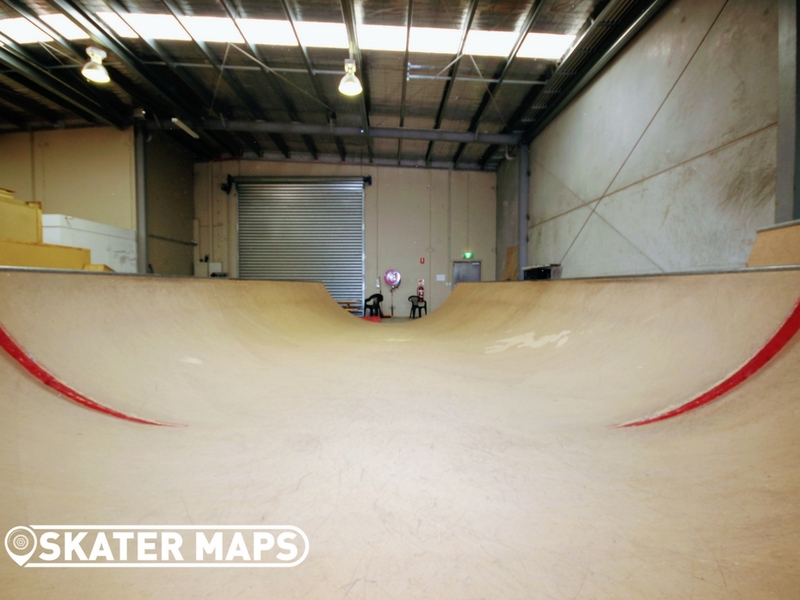 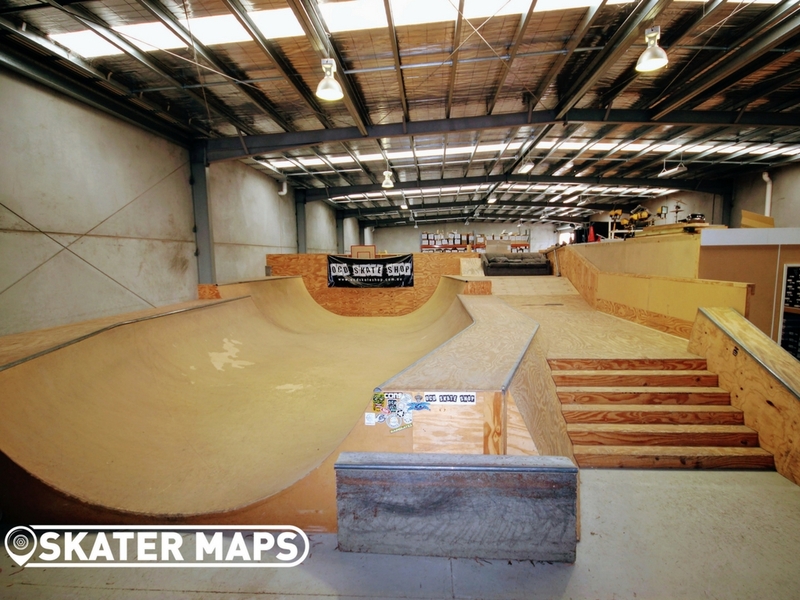 OCD has a rad skatepark that is located in the warehouse. 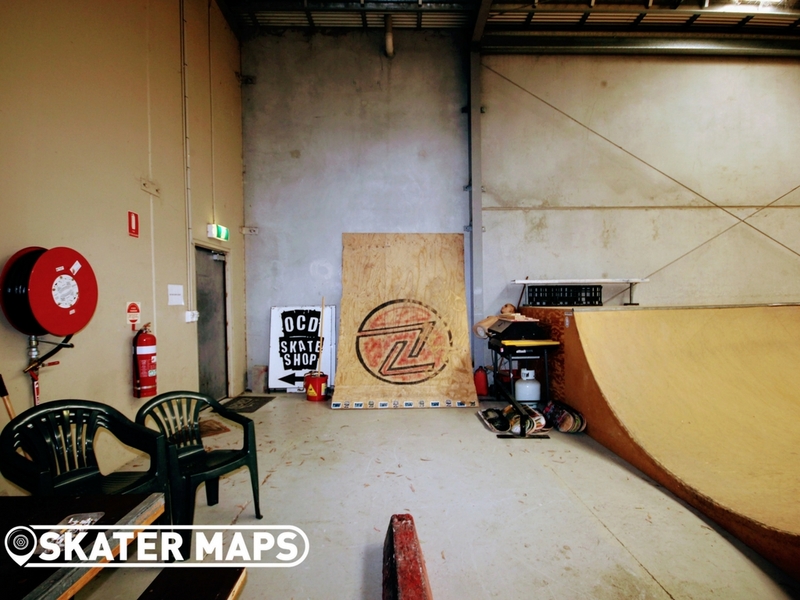 Unfortunately don’t get your hopes up on skating the private indoor skatepark as it is just for VIP’s, staff and pro skaters. 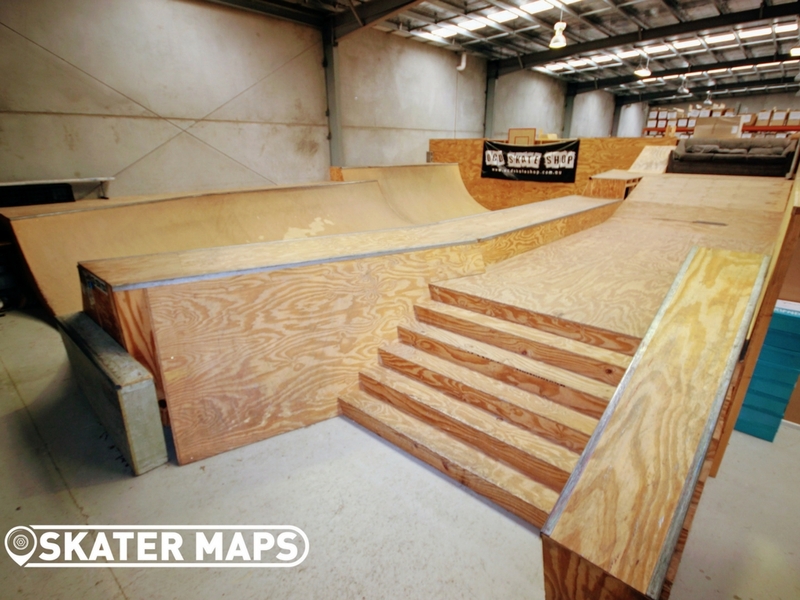 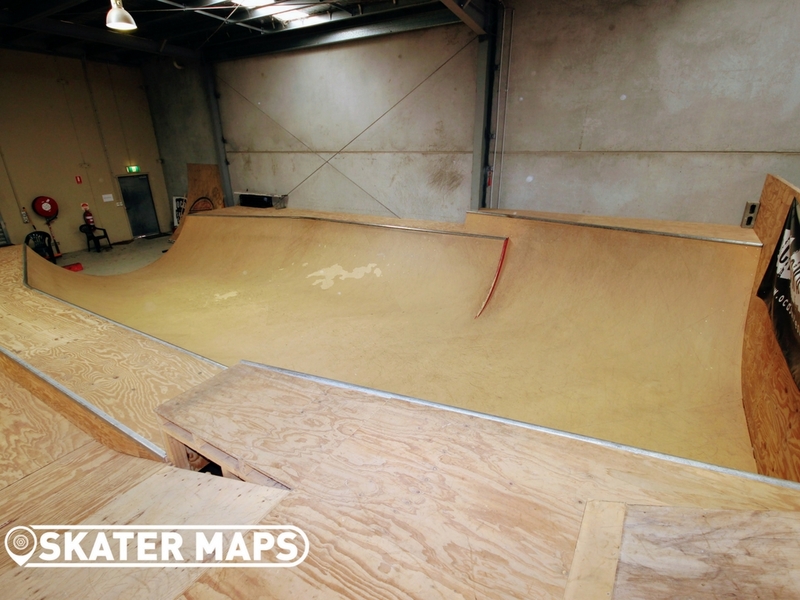 The skatepark has one of the smoothest mini ramps in the country made out of MDF. 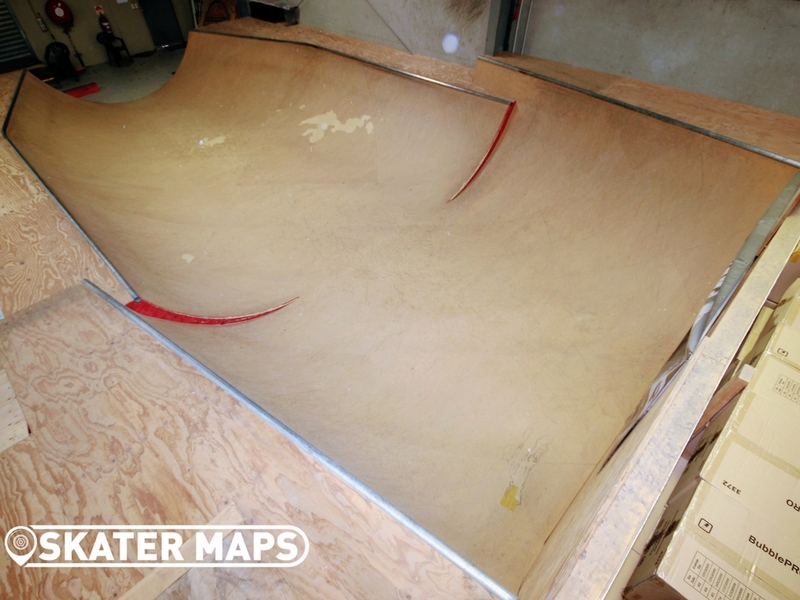 The mini ramp is roughly 20ft long with a 3ft section and a larger 4ft section. 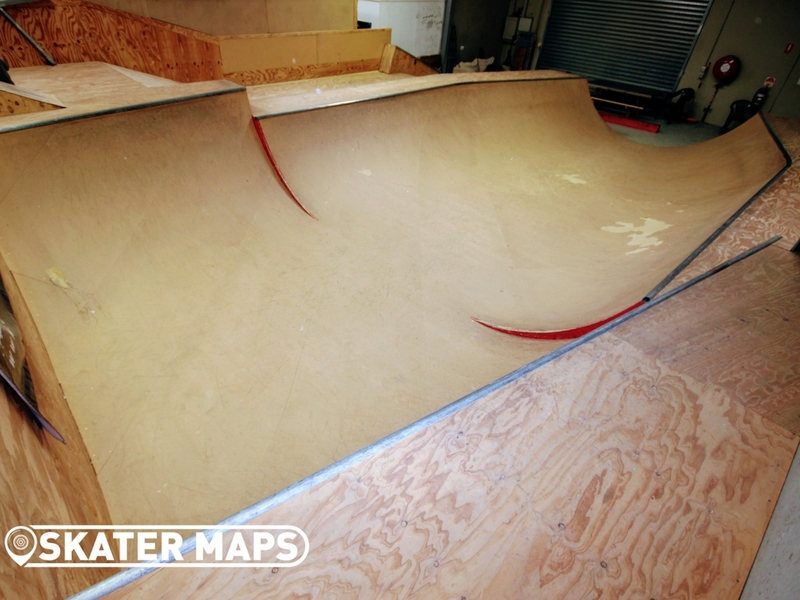 The ramp tapers in at one end that creates an almost bowl like experience. 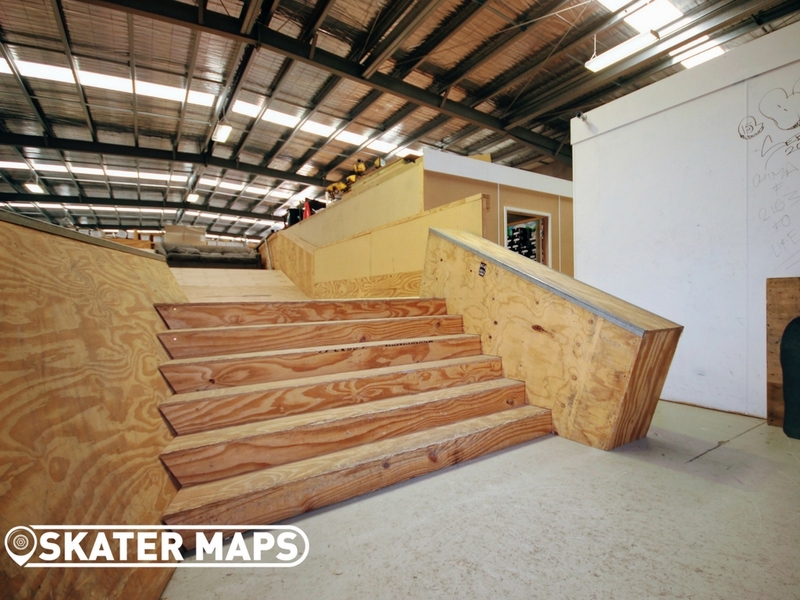 The street section has a 6 stairs made out of wood with a steep bank on one side and a large box on the other. 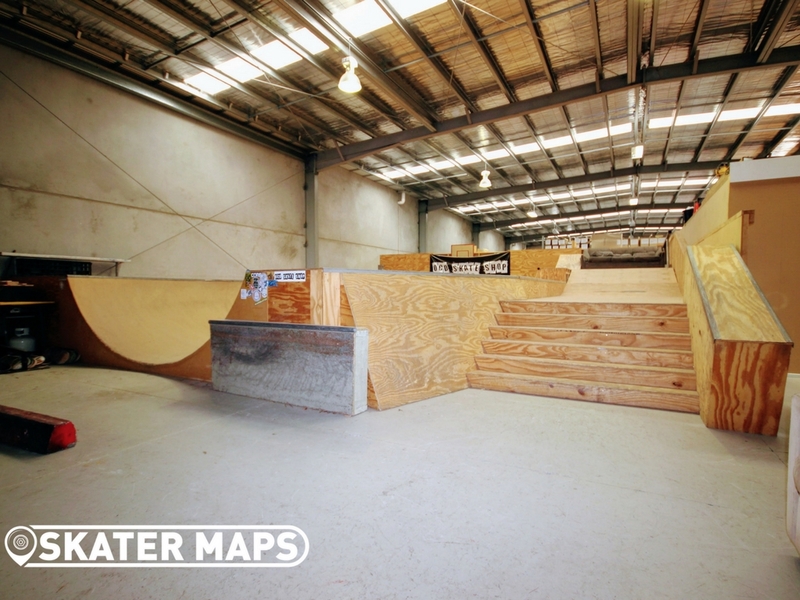 There are also a number of street obstacles lying around the place with heaps of portable ledges, rails, benches and much more that creates for a very versatile street skate park.